Rideau Lakes is truly the hub of eastern Ontario, with Provincial Highway 15 and the scenic historic Rideau Waterway running through its Centre. The Township of Rideau Lakes is blessed with an abundance of lakes. Rideau Lakes has 500 km (310 miles) of shoreline, excluding the Rideau Waterway. 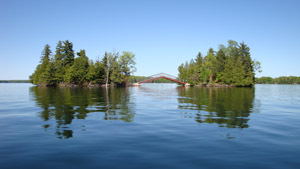 The Waterway itself traverses the Township, from the towering granite cliffs at Chaffey’s Locks to the more gentle and pastoral areas of the Lower Rideau Lake. The Waterway represents an important link with the past. With island-studded lakes, man-made channels, flowing rivers and pastoral sites along its length, the Waterway offers excellent water for canoeing, sailing, boating and fishing. Along with all of the water and activities that go with it, the Rideau Lakes is surrounded by beautiful little towns and villages offering unique shopping and dining. Several festivals and fairs also provide entertainment while visiting the area. During the summer there is a Farmer’s Market every Saturday morning. 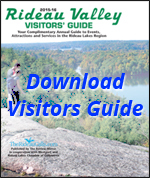 Rideau Lakes contains many scenic villages and hamlets, including Chaffeys Lock, Chantry, Crosby, Daytown, Delta, Elgin, Forfar, Freeland, Harlem, Jones Falls, Lombardy, Lyndhurst, Morton, Newboro, Newboyne, Phillipsville, Plum Hollow, Portland, Rideau Ferry and Scotch Point. The independent village of Westport is entirely surrounded by Rideau Lakes, but is not part of the township. If you are interested about the history of the Rideau Lakes and would like to learn more about the Rideau Lakes in general visit this great information website: www.rideau-info.com.